Photo: LEFT TO RIGHT: Helen Cromarty, David Geldart, Vanessa Statham, Mike Mowling, Andrew Lockwood. In the 1850’s William Penny Brookes, through his Wenlock Olympian Society (WOS), had the wonderful vision of providing annual competitions in sport and the arts ‘for people of every grade’. What started in the small Shropshire town of Much Wenlock extended regionally, then nationally, and now hosts international competitors from as far away as Australia. Ultimately, it was a major inspiration for the modern Olympics as we know them today. The Bambisanani Partnership is a multi-award charity based in Yorkshire that works in one of South Africa’s poorest rural regions using sport as a catalyst to promote education, health, global citizenship and leadership. The charity’s latest book (Bambisanani: Ten Years of Working Together and Learning Together) has gained international acclaim, and the Partnership was pleased to donate a copy to WOS. 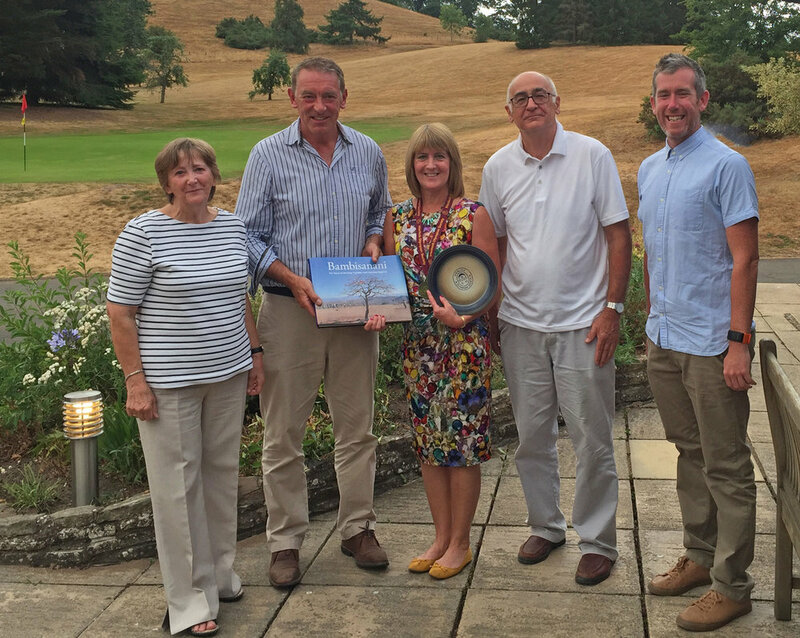 The book was given as a special additional prize for the annual ‘Golfer of the Competition’ award at this year’s Wenlock Olympian Games, and presented to the very worthy winner, Vanessa Statham.